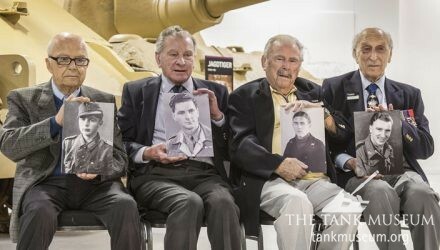 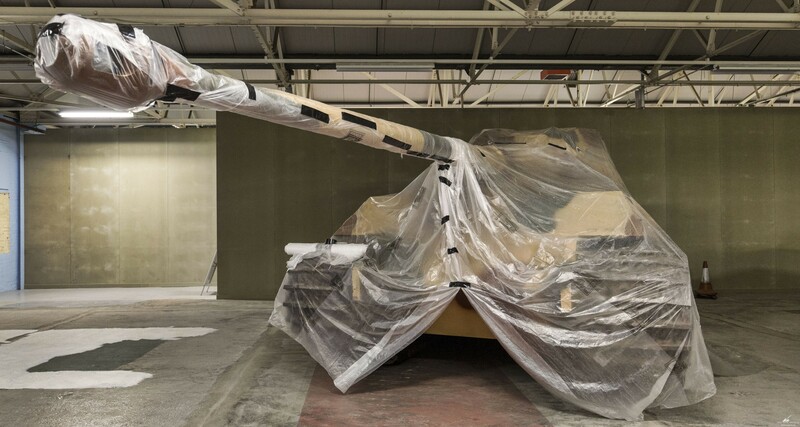 For the new Tiger Collection, The Tank Museum’s Jagdtiger and Tiger II with pre-production turret were repainted to show how they looked when they were captured in 1945. 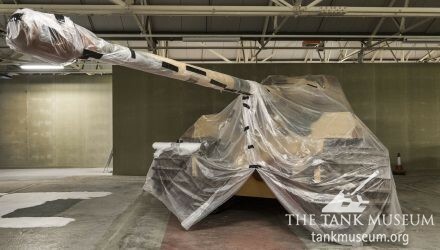 Both tanks are now painted in RAL 7028, known as Dunkelgelb. 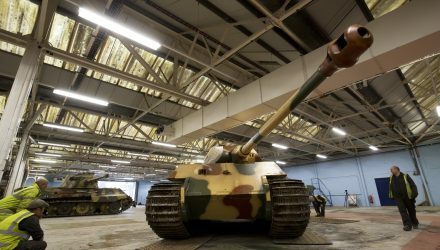 After six weeks of building work, the Tiger exhibition is gradually taking shape. 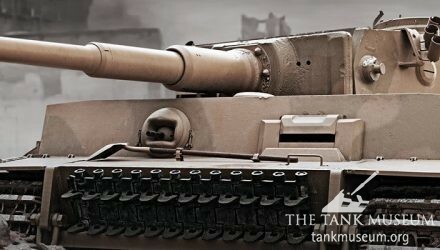 With the painting of the space complete, the repainting of the Tiger II Porsche and Jagdtiger can commence. 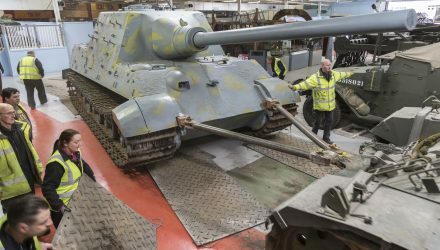 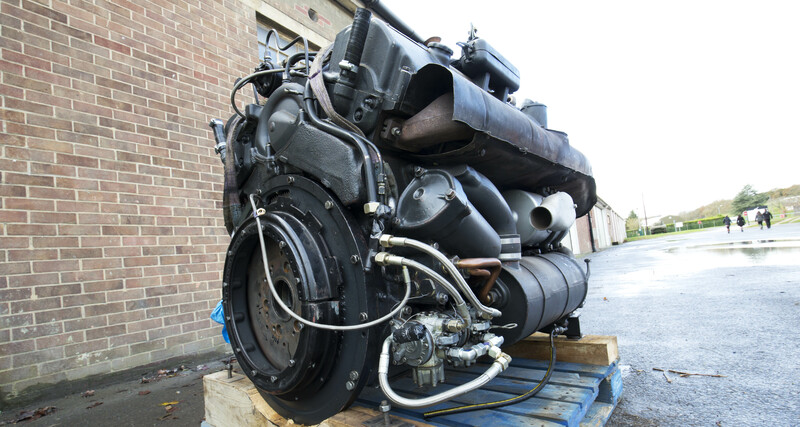 Tiger 131’s engine is undergoing some routine maintenance, to make sure it is in perfect working order in time for Tiger Day VII on 29 April. 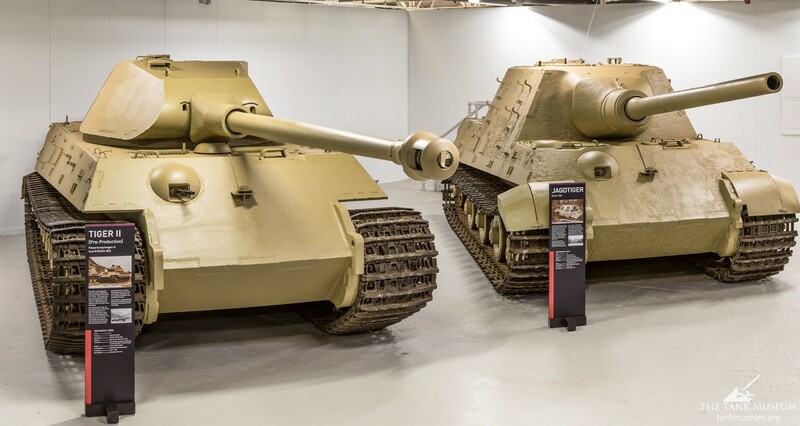 To make room for the Tiger Collection, several vehicles had to be moved. 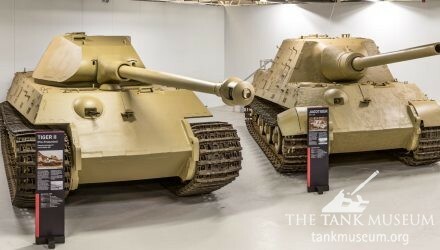 This included the pre-production Tiger II, or King Tiger Porsche. 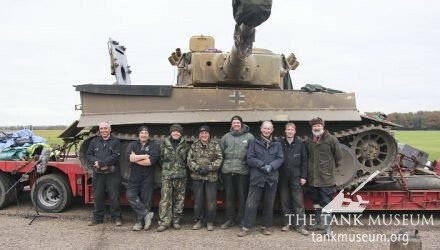 In preparation for The Tank Museum’s new exhibition, The Tiger Collection, several vehicles had to be relocated. 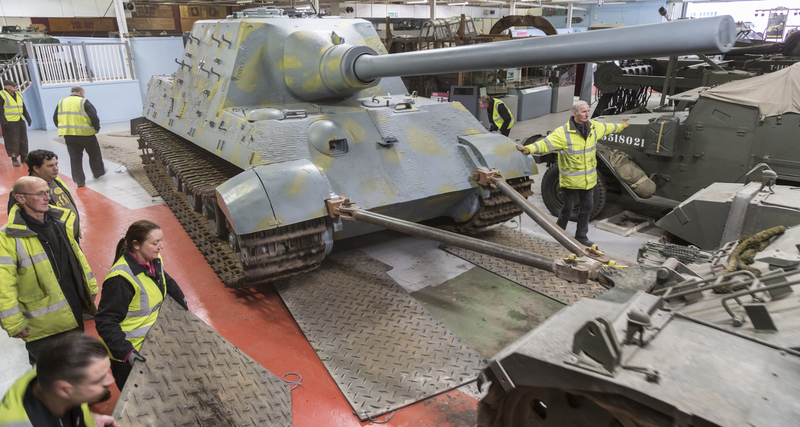 This included the Jagdtiger, which was moved for the first time in at least 50 years. 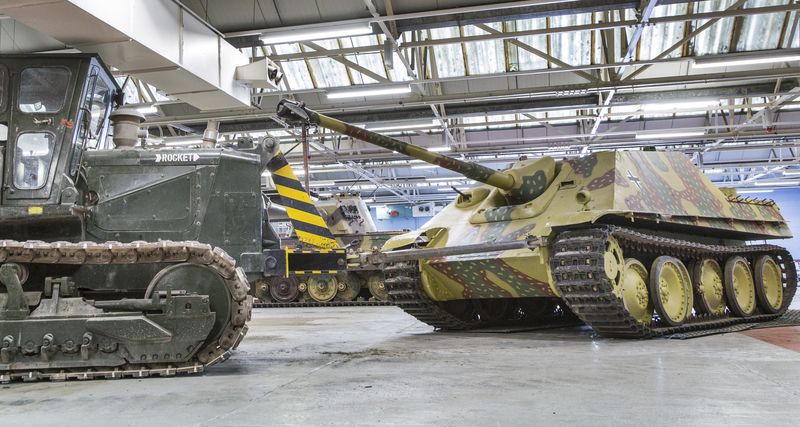 To make room for the Tiger Collection, several vehicles had to be moved. 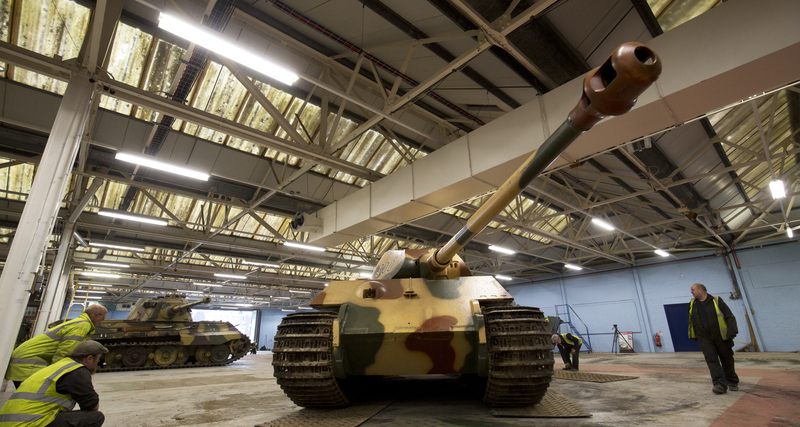 This included the Jagdpanther, which was moved for the first time in 40 years. 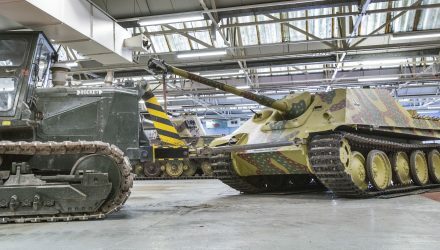 Tiger 131 enthusiast? 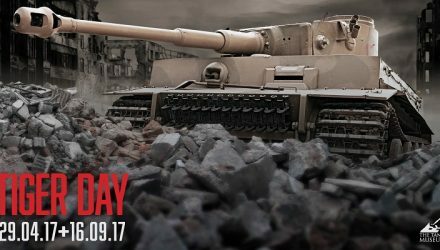 Download your perfect Tiger Day computer desktop wallpaper here! 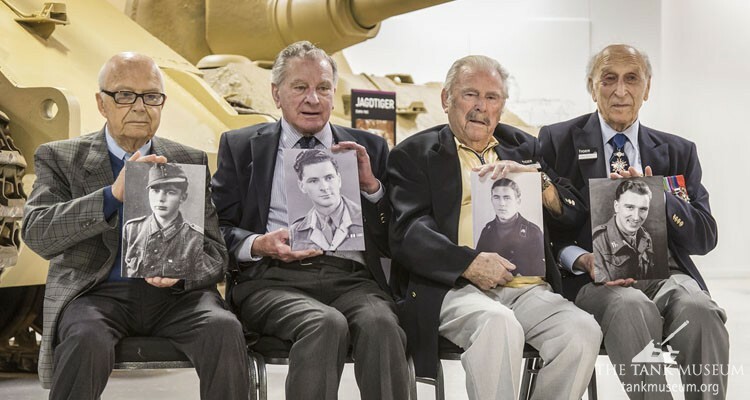 Click on the image above to enlarge, “Save image as” by right clicking on the image, right-click on the file in its folder and select ‘Set as desktop background’. 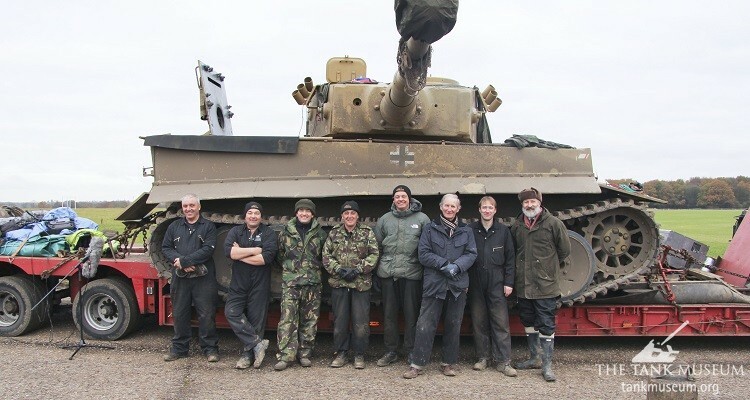 In 2015 Tiger 131 took a two-week trip to star alongside Brad Pitt and one of the Tank Museum’s Shermans in the film Fury.